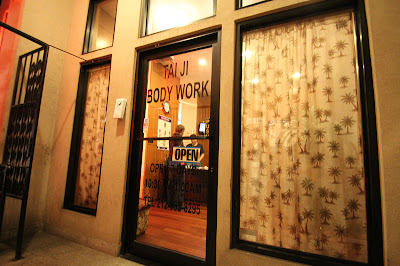 Taiji Body Work, the Best Asian Massage in New York City! If you are looking for great massages, here it is! Take a moment to slow down and reconnect with the important things in life. 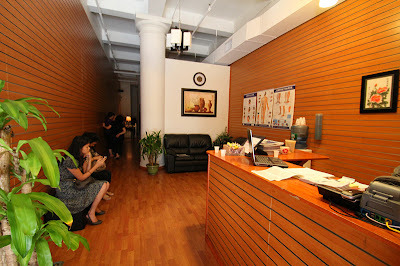 Our Taiji Body Work treatment is one of the best -- high quality relaxation for your high stress life. 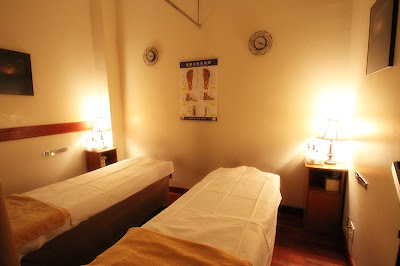 Feel the tension drain away with a full body massage that includes neck, back, legs, and foot reflexology. Taiji Body Work, 8th Street Parlor. WHOA. My one experience here was unforgettable. Some tall guy massaged me for 70 minutes (FOR $48!!!! - yelp deal). This was the best massage I think I have ever had. Everything was clean, comfortable, well laid out, I was in heaven yo. My husband was with me and he has so many knots from working out, the lady who rubbed him did a really good job at loosening his knots he told me which is RARE because they are so massive. I highly recommend this place and can't wait to go back. Ugh I could use a massage right now, I slept on my neck the wrong way last night. I know, no one asked. The rest of the staff is also very friendly, but I am happy with Jason so I really only make appointments with him. You can also walk-in anytime and there will be someone free. Only complaint - the noise from the bar/club downstairs can be annoying - mostly on Thursday, Friday and Saturday nights after 8pm. It is really not the fault of Taiji. The bar/club moved in a few months after Taiji opened and there is not much they can do about it. I am adding a 5th star - I just had a 90 minutes massage from Jason. It was wonderful! Also I forgot to mention that this place is always very clean. At first, I was skeptical that this massage parlor would compare favorably to more expensive establishments. Boy was I wrong! 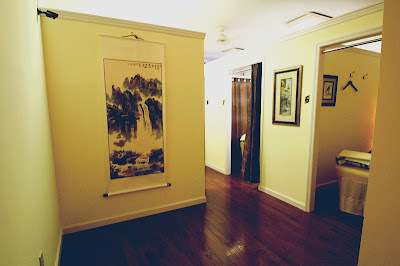 I have been here several times, and I always leave feeling lighter, less tight, and revitalized. They offer many services from foot to full body massages. You may want to call in advance to make sure that they have a masseuse available. Prices are also very reasonable- they charge $48 for a 60 minute full body massage. Bring cash- if you pay by credit card, it will be a few dollars more. I recently requested Lily since I read from other reviews that she brings on the pain. She definitely exceeded my expectations. She found all my tightest areas and concentrated on them with an intensity I've never experienced before. I couldn't believe how strong she was! Her patience as she worked slowly and carefully was greatly appreciated. Hot oil and rollers were used. At one point, I felt her walking on my back as she massaged my lower back with her feet and my shoulder blades with her hands. Despite the pain, I was actually very relaxed and nearly took a nap. 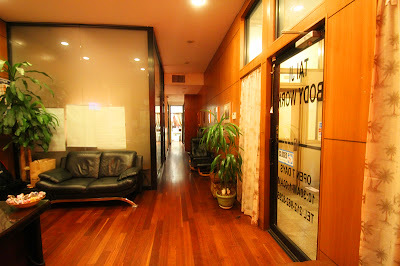 I immediately felt lighter after the massage even though I felt a slight soreness in my calf and shoulder muscles. The next morning, I expected to be more sore. Instead, I felt like a new man. Whenever I feel tight and stressed, I know I can depend on Lily to give me new life. Thank you Lily! I just got back from China and after the 15 hour flight from Shanghai to JFK you bet I needed a massage. Found Taiji on yelp and was delighted to see they were offering a deal. Even without the deal it was absolutely worth it! 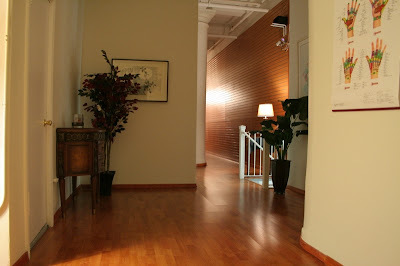 $50 for a 60 minute massage (plus an extra free 10mins if you check in on yelp). Place was clean and inviting though a bit hard to find since the correct address is actually two doors down from the one listed on yelp, but don't worry, if you walk into the wrong building they will direct you to this wonderful massage haven! My massage therapist was one of the best I've ever had (and I've been getting massages about twice per month for the last 5-6 years so I know by now what makes a good quality massage vs. a flimsy crummy one). She was like a cross between an intuitive healer and a doctor of precision. She found all of my knots and tight areas on my back and worked patiently to get rid of them; all the while making sure i was doing ok. Though I was in pain from severe aches and tightness she made me feel light and filled with tremendous relaxation and peace. She wasn't rough, but she was firm. I was in pain but also eased and relaxed as if huge pockets of stuffed energy were being unblocked. I will absolutely come here again. They have loyalty cards and after the 10th time you get you massage for free. Front desk folks were very accommodating. With my purchased yelp deal of ($5 for $12) I ended up paying $41 plus tip ($10) = total of $56 and considering NYC cost of living this place is a steal. You get a great quality massage for an affordable price. If you pay with cash rates are even cheaper than if you pay with card (but the latter is accepted, no problem). Frozen yogurt, coffee shops, lunch places all around make for a good post massage snack!